The two men had opposing opinions during a time-out in Olimpia Milano’s bench, as James did not agree with Pianigiani’s orders. 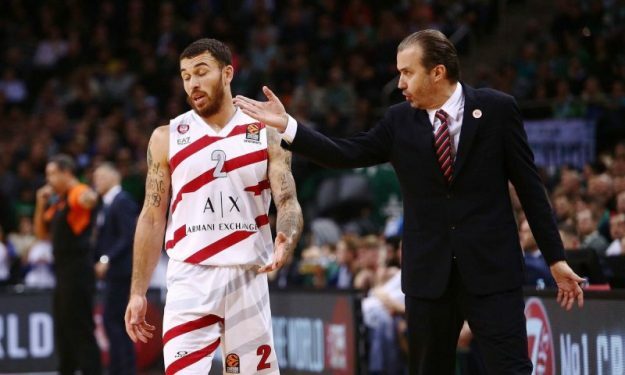 Mike James disagreed with Simone Pianigiani’s guidelines during a timeout just before the halftime in the game against Zalgiris, leading to some agitation on the Italian team’s bench. Milano lacked many of its players in Kaunas, that naturally led to some turmoil, as coach Pianigiani himself commented after the game.